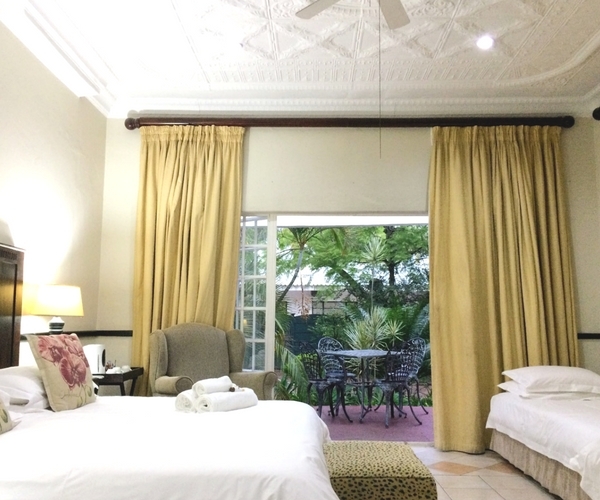 Polokwane Place offers two types of Family Rooms: a 3-Sleeper Family En-Suite and a 4-Sleeper Family En-Suite. 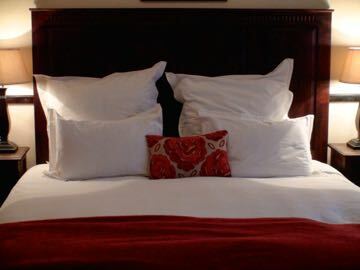 Our 3-Sleeper Family En-Suite consists of a King-Size Bed / Twin Bed Set and one single bed (in the same room). 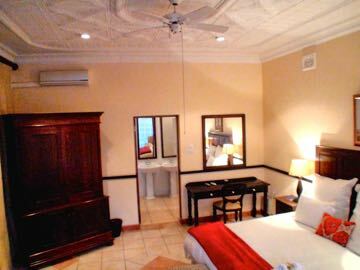 The room features a Victorian bath and a large walk-in shower, DSTV, Wi-Fi internet connectivity, a workstation, tea & coffee making facilities, two porches, air-conditioning and a ceiling fan. Our 4-Sleeper Family En-Suite accommodates up to four people and consists of a double room and an inter-leading twin room. Each of its rooms has its own bath/shower-in-one, DSTV, Wi-Fi internet connectivity, workstation, under-floor heating, ceiling fan, wall heater and tea & coffee making facilities. Each Family Room features its own private patio that leads onto the garden and/or one of our two swimming pools.